I grew up eating fishball noodles almost every day for breakfast. 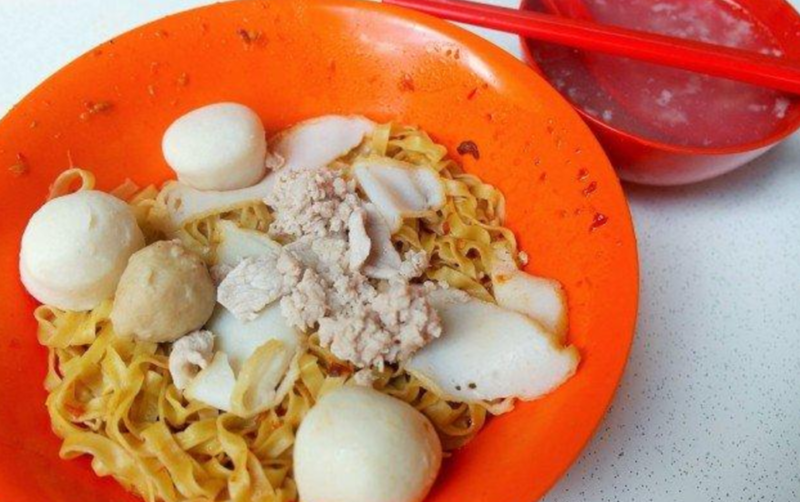 And what make a good fishball noodles are fresh fishballs and savoury sauce. 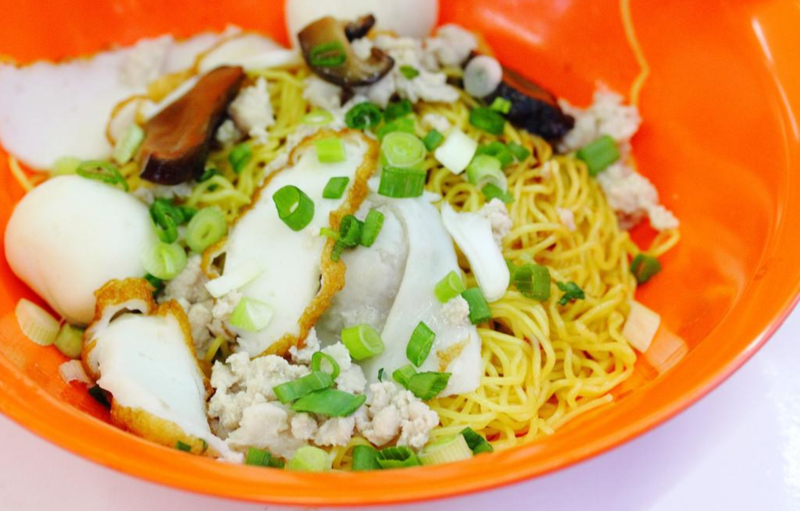 Wah Chee fishball noodles ($3) come with mince meat and fresh ingredients. When I go there in the morning, its tables usually are filled. Many customers are from the residences nearby and they had to share tables due to the relatively small coffeeshop space. I’ve tried sooooo many fishball noodles before, and they are sometimes too oily, too spicy, too sour due to vinegar, or worse wrinkled fishballs or sour fishcakes. This stall gives fish dumpling too, for fish-dumpling lovers. $3 for this bowl of goodness is really DAMN WORTH IT! 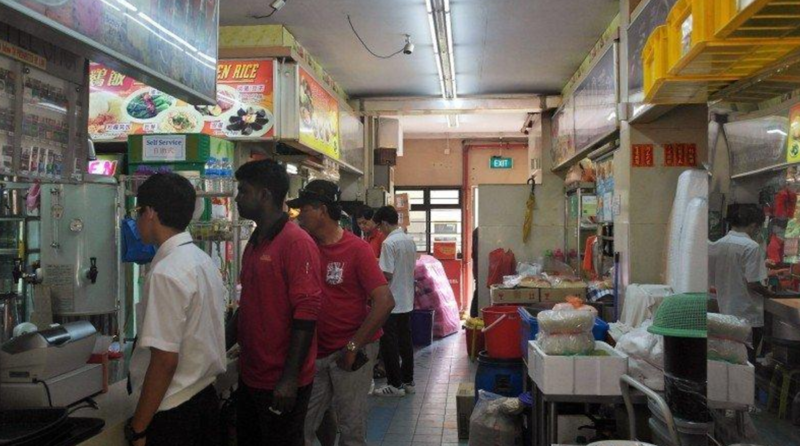 Another breakfast-worthy stall is the only muslim stall in this coffeeshop – Ainis Foods. 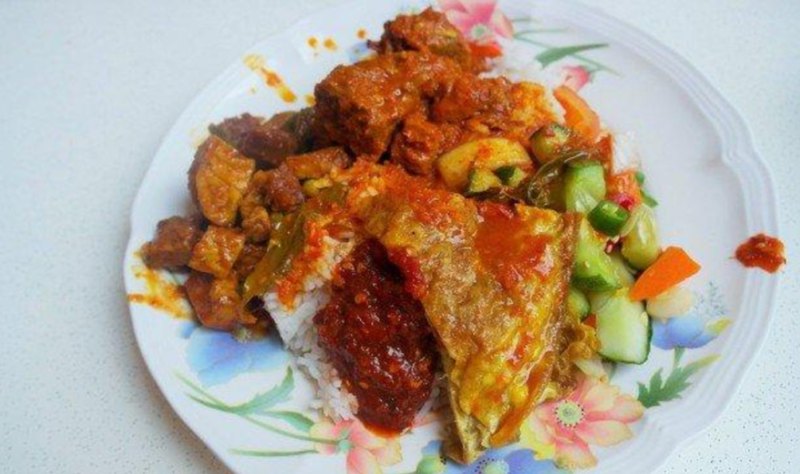 By 10am, nasi padang dishes are ready. And because of the fact that they prepared most dishes by morning, it is strongly encouraged to eat in the morning. The Auntie in this stall is extremely generous. For a $3 nasi padang, the rice alone can be rather overwhelming. My mother would ask to share rice with me while adding more dishes. It’s really DAMN WORTH IT. Mee rebus and nasi lemak are quite savoury too! Operating hours: 11:30am to 8pm, closed on Mondays. Used to be Wah Chee Tze Char, this relatively new tze char stall “Dover Village Tze Char” has the same pricing as Wah Chee. Some old fans of Wah Chee may not even be able to taste the difference between Wah Chee and this. So, I suspect, it’s the same cook. Their mains and dishes options are the same too! Every time I have friends who are near that area for dinner, I would recommend here! Prices are DAMN WORTH IT! And when you thought that portion will be small for their price, you are wrong! Vegetables ($6-8), Meats ($8-10), Beancurd ($8-10), Eggs ($6-8) attract many customers to bring their families to patronize. After 7pm, it is hard to get a table. 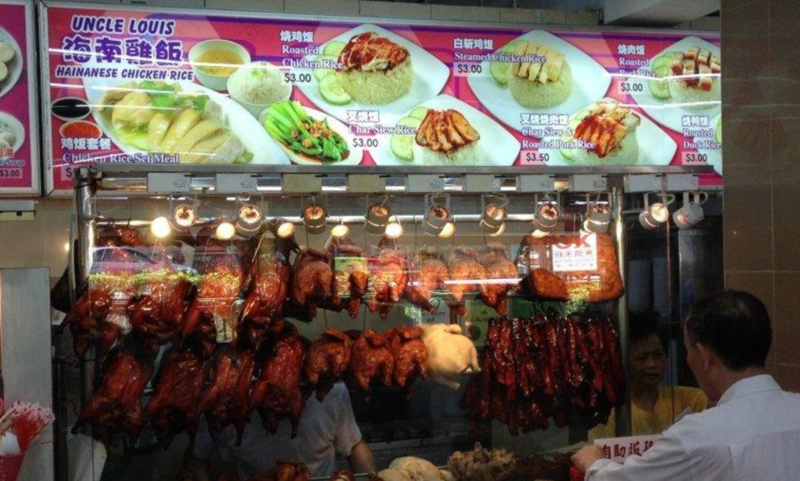 Many neighboring students flock to this stall for dinner and take-aways too! 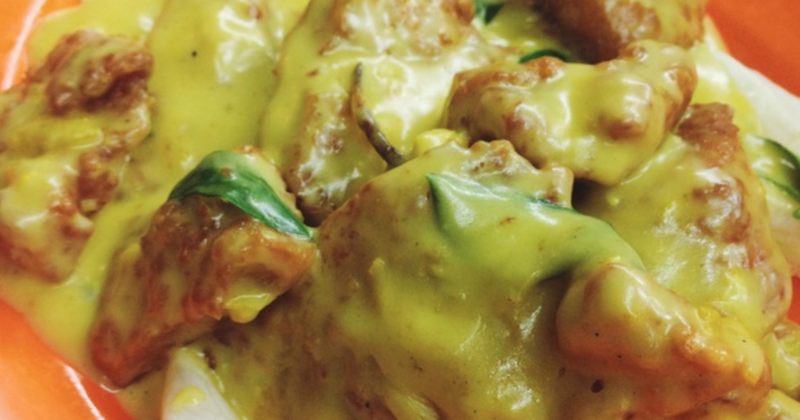 And they know the must-get is BUTTER CHICKEN RICE! But let me suggest other mains and dishes too! Mee Goreng, Slice Fish Soup, Char Siew Fried Rice, Beef Hor Fun, Claypot Ee Mee are all worth a try too! 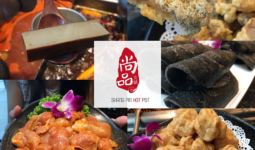 Tze char dishes are prawn paste chicken, King Pork Ribs, Hotplate Beancurd with Egg, and Sambal Kang Kong! Portions are generous and their services are prompt. For the first time, I see small tze char stall hiring more than 5 servers. Wok hei in their mains, especially their fried rice, is strong and fragrant. Operating hours: 11am to 10:45pm, closed on Wednesdays. Now, don’t get me wrong. This is not Jumbo Seafood Restaurant. Jumbo is the name of the coffeeshop along the MRT track. During lunch hours and dinner hours, it can be quite crowded. 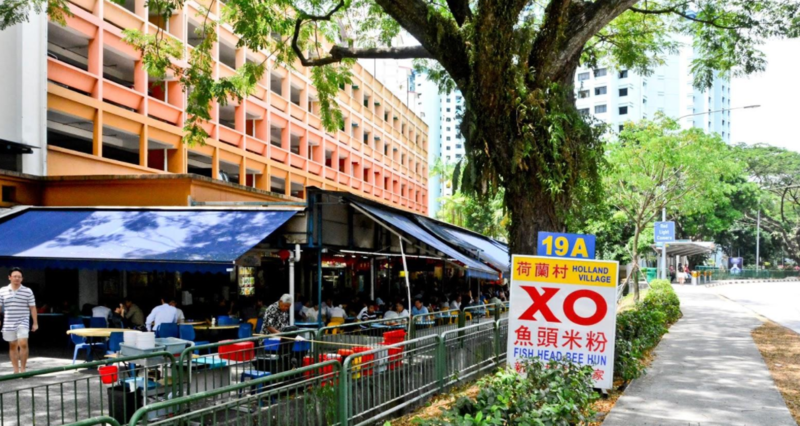 Even for Sundays, church-goers (St John St Margaret Church – just beside Singapore Polytechnic) would flood the queues for mainly 2 stalls here. Uncle Louis Hainanese Chicken Rice has a few branches. Their Char Siew and Roasted Chicken Rice are the more popular choices out of the rest. A DAMN WORTH IT fact is that it gives you piping hot homemade soup, a big bowl if you order more than 1 set – REFILLABLE! 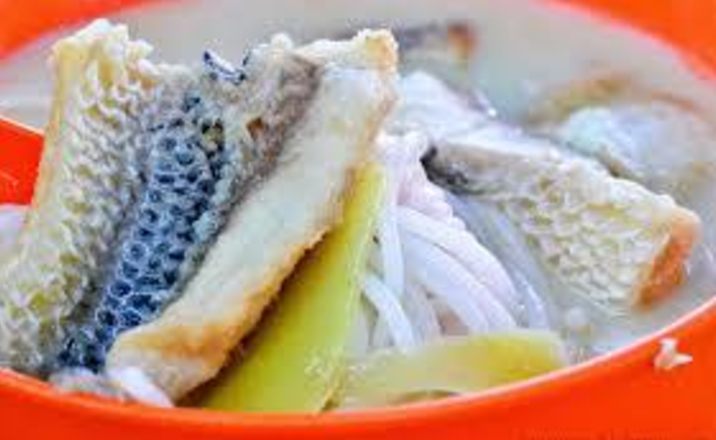 Its homemade soup is full of ingredients, while they have different kind of soups for each day. Love their peanut with chicken feet soup (Sundays)! Its Sundays queue could reach the shutter of the coffeeshop during lunch hours! Be there early because in the early evening, its food could be sold out by then! Slice or Fried Fish Soup with milk ($6; used to be $5) warms your heart on rainy days. Even for non-XO version, it will have a mild XO taste (I suspect because the chef uses the same individual pot to cook both XO and non-XO fish soup). People who try it for the first time would be able to taste the obvious XO touch even when they order the non-XO version. Its fried fish is thick and chunky. 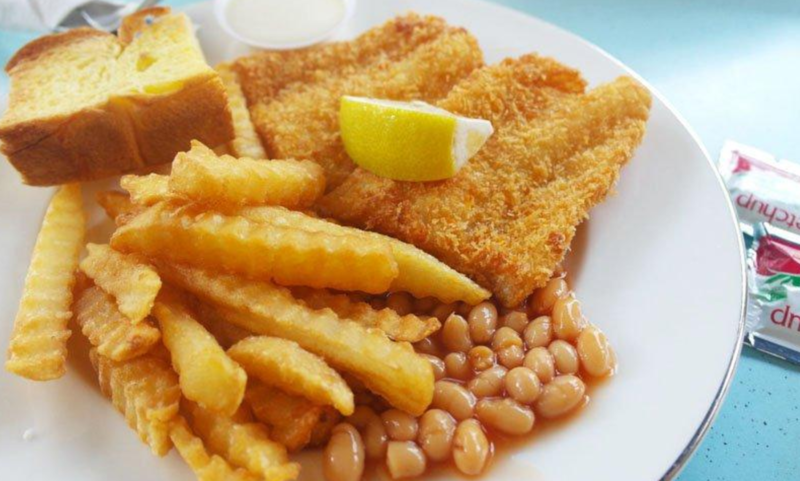 Personally, I prefer its fried fish to its slice fish. At least 4 pieces for each bowl is a reasonable amount while they do not skimp on its noodles. 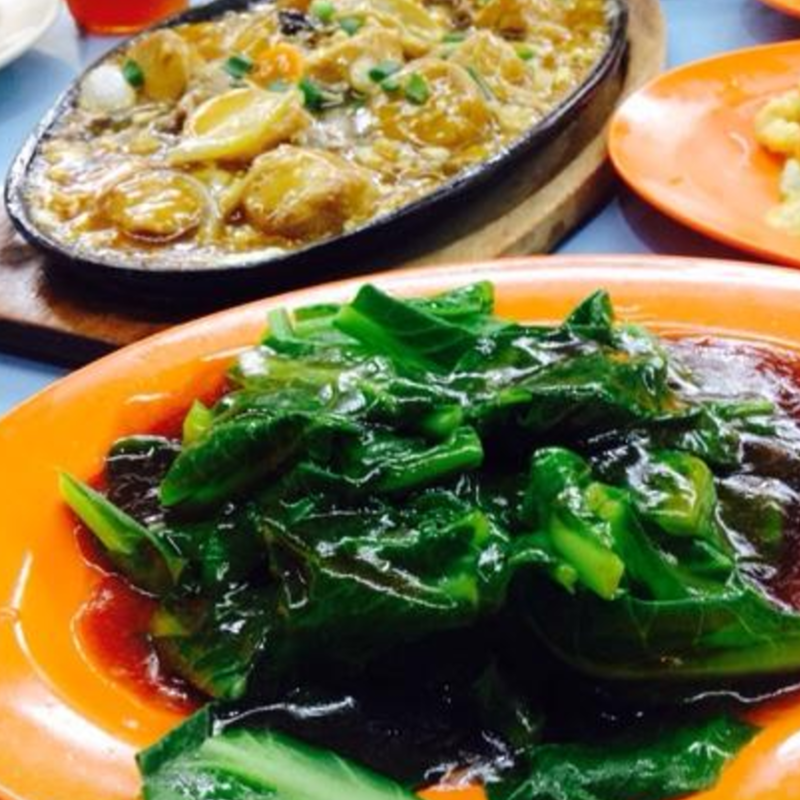 Another must-try is its Slice Fish Hor Fun (aka San Lou Hor Fun, $7; used to be $6). Really oily but full of wok hei. Bean sprouts are fresh and consistently crunchy. You have to eat it upon served as the hor fun will stick to each other and the sauce, though very flavourful, will dry up after awhile. Its slice fishes are really sweet and fresh! I would crave for this once in a while, but the price to it really makes me think twice at times. Portion is good for more than 1 pax, but too little for 2. So maybe you can get it during a family gathering to let everyone try it! 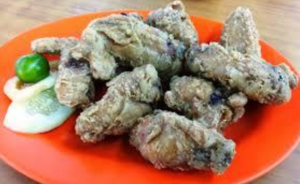 Another must-order is its Prawn Paste Chicken ($10) – relatively expensive for 3 full wings. But its well-marinated and savory skin makes this worth a try! 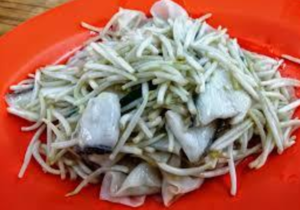 A friend even commented that he once take-away this to Potong Pasir and tried it when it was cold yet it was still tasty! A side note, this tze char stall does not have a lot of variety of dishes to select as compared to Dover Village Tze Char. 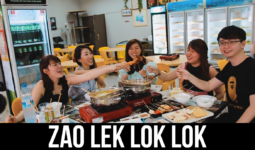 Thus, many customers do get scolded when they ask for fried rice or beef hor fun etc. But most of its dishes are satisfying! Better do your homework if you don’t want the bosses to spoil your mood! 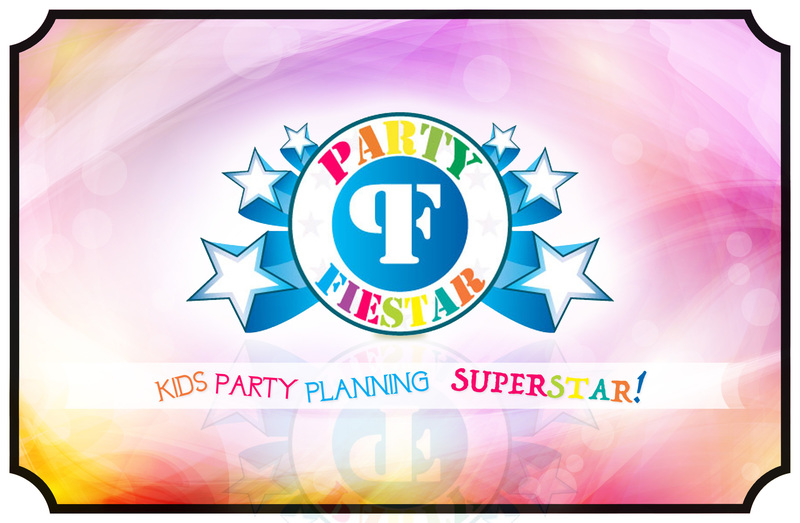 Operating hours: 11:30am to 2pm, 5pm to 10:30pm daily. 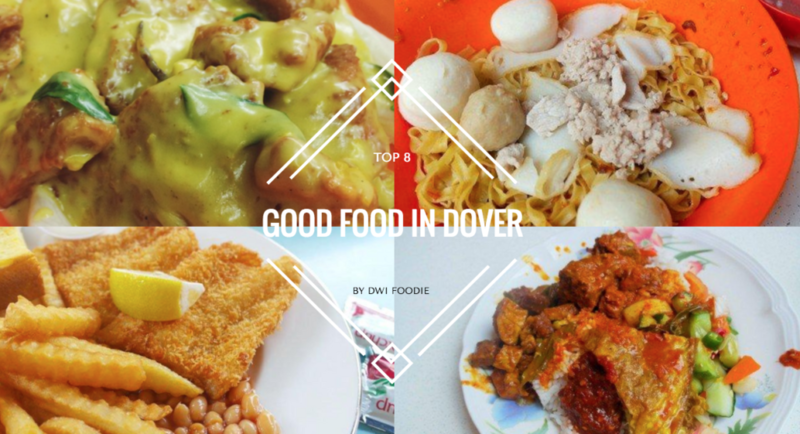 7 Stars Coffeeshop is a relatively new food court at Dover Crescent. And I welcome Grill Werks with open arms. 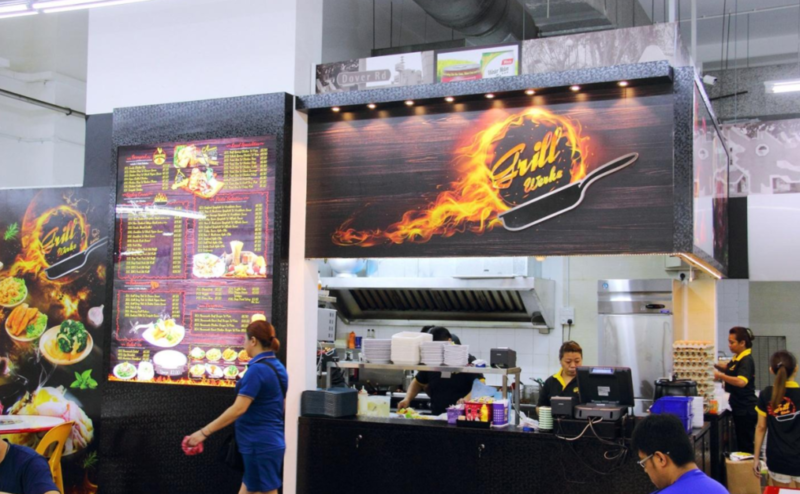 Grill Werks has 24 outlets in Singapore and although its price is slightly costlier as compared to typical food court prices, its chefs’ skills would almost immediately make you pay willingly. 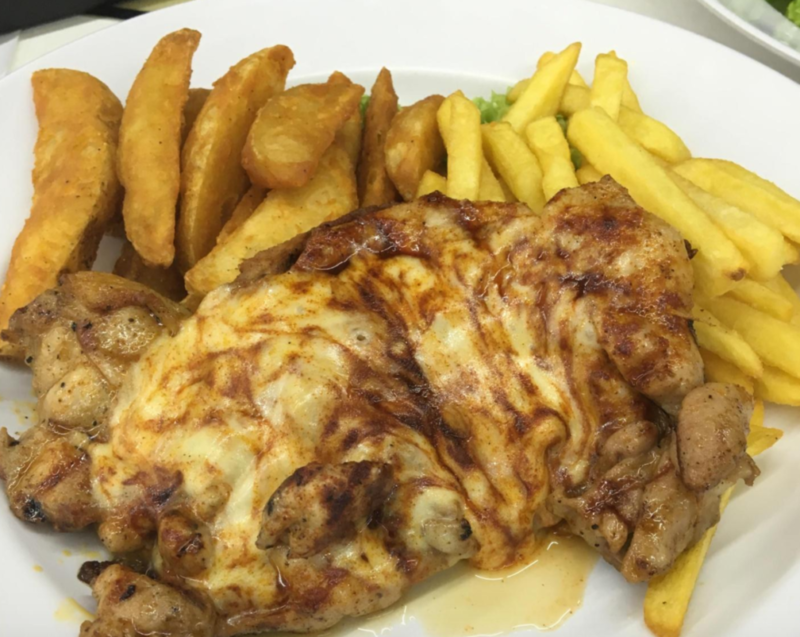 They grill the meat really well and my favourite is the Cheesy Chicken Chop ($7.50)! Their chicken chop is really tender and they really do not compromise on the standard of their grills. You can choose any 2 cold/hot dishes to go with your meat. Chai Chee Teochew Minced Meat Noodle ($3.50) first opened when 7 Stars Coffeeshop newly opened. I had the privilege of watching and eating the owner’s version of BCM (Bar Chor Mee). However, I did not quite like it due to its excessive vinegar. On the other hand, my friend who seldom likes BCM took a bite and said he loves it due to its vinegar! So, I guess it’s up to one’s own preferences. It also offers fishball noodles and fishball soup. 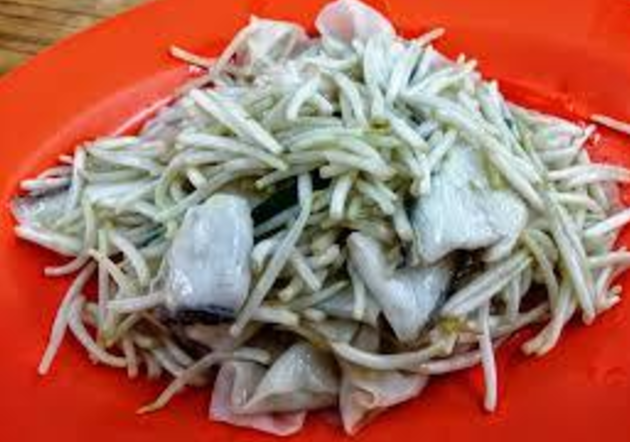 Noodles are springy, but its fishballs are inconsistently fresh, sometimes they even have a fishy taste. Now, the owner doesn’t hang out over there anymore. But I still frequent their fishball noodle soup whenever I wake up too late for Dover Village fishball noodles. It used to have long queues when it first opened. 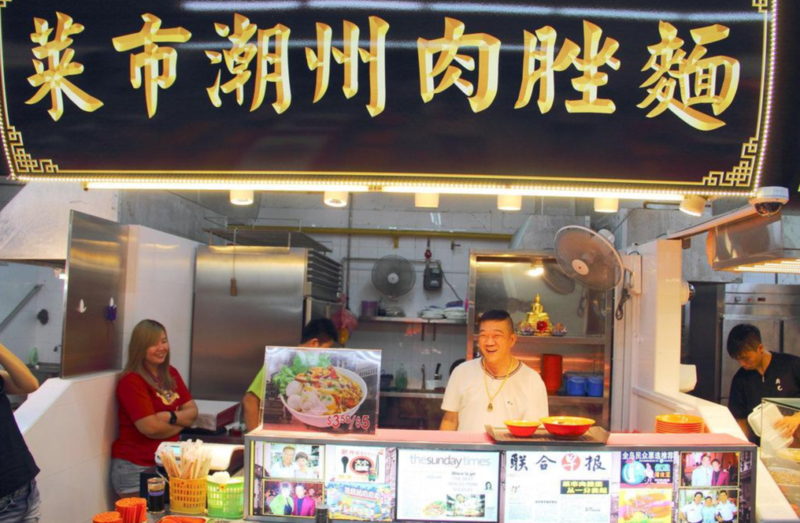 Unfortunately, now, it looks just like any typical food court fishball noodle stall. 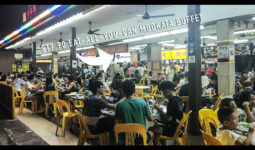 All in all, these places can satisfy your stomach and are great places for family eat-outs at a DAMN WORTH IT price!